Everyone wants to make more from their ecommerce store. That’s why you built it, right? However, not everyone has the marketing chops or experience to grow their ecommerce website from a few sales to millions a month. Here are some of the essential eCommerce website tools you need, with a few recommendations in each set. What happens after someone makes a purchase is just as important as what happens before. Sign up for a demo of our open source order management software to make sure your orders get to your customers quickly and efficiently. Something to keep in mind - there are a lot of tools that double or triple dip. This isn’t like your backyard barbecue - this is a very good thing. It means you’re getting more functionality and better features for (usually) a more affordable price. It also removes the need for any kind of integration, which can potentially slow data down or work incorrectly. These tools allow you to test out two different versions of the same content (images, text, colors, etc.) based on some goal. Product pages. You can have a different image, prices, or descriptions. The simplest is probably using colored backgrounds for products, but the possibilities are endless. Collection or browsing pages. Allowing you to move items to the top or bottom of a collection is a great way to figure out what is resonating most with your customers. Cart or checkout pages. Maybe a certain layout will lead to higher checkout rates. This is the place to test it. Optimizely started off as a simple A/B testing tool, and has since grown into so much more. Their latest version, Optimizely X, is more about optimizing experiences, wherever they happen. That includes on your website, on a smartphone, and in your app. Price: It’s not cheap - it’s not even listed on their website. There are some third party estimates of several thousands of dollars per month, but it looks like it may depend on the amount of traffic you are getting in a given month. 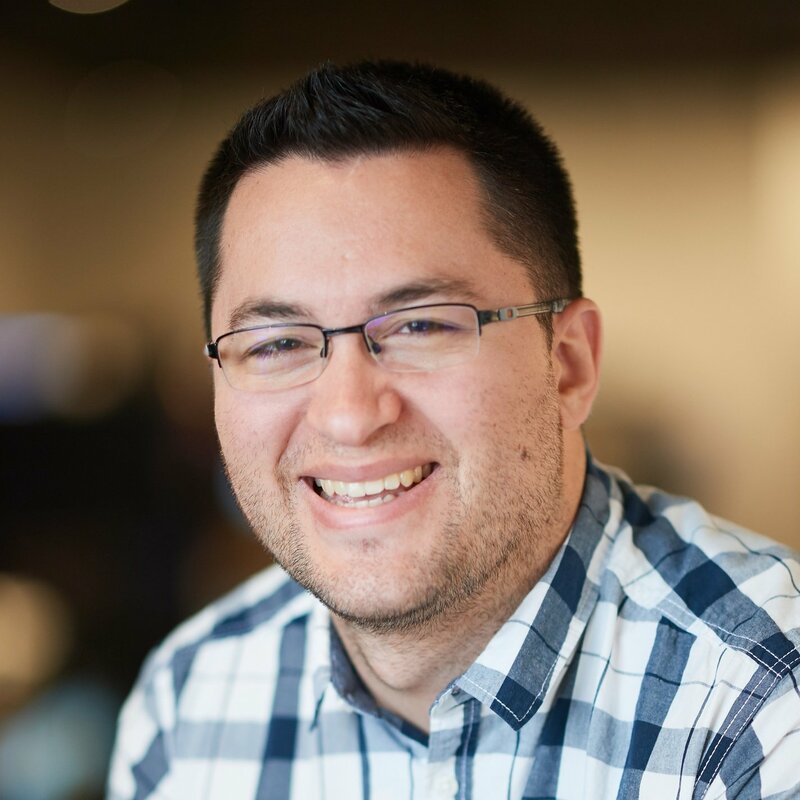 CrazyEgg’s A/B testing tool is part of their entire suite of visual, on-page analytics, that includes heatmaps and recordings. Having all of those things together, in one tool, is quite a large advantage. It means that you don’t have to look at a heatmap, then go back to your CMS and change some stuff around. You just grab and go with their nifty drag and drop functionality. Price: $79/month for 100k pageviews/month. Product pages. To find out if users are going through the whole page, or just looking for one thing in particular. Collections or browsing pages. It’s great to see what users do with their mice, how they scroll on mobile, and where they click into these different pages. Hotjar’s tool is branded as all-in-one analytics and feedback, and has been built up considerably over the years. In addition to heatmaps and recordings, you can also include widgets on your site that ask questions, polls, or surveys, and generally give your visitors a chance to tell you what they like (and don’t like). It’s a gold mine for product pages. Price: $29 a month for 10k pageviews a day. Or free forever. Lucky Orange’s tool has similar functions of heatmaps, recordings, conversion funnels, form analytics, etc. One thing it does differently than Hotjar is that it has a bit more interactivity with a visitor. It features live chat, co-browsing, and a lot of information in terms of abandonment and forms. If you want to guide your visitors to a specific product, this might be the best way to do it. Price: Starts at $10/month for 25k pageviews/month. They also offer a free 7 day trial. The staple of many businesses inside and outside of the eCommerce space is paid advertising. Each has their own strengths and weaknesses, and are very targeted in their own platforms. Costs are generally measured by cost per click or cost per lead, but pure ROI may be more effective for certain campaigns. Keep in mind that price on these is going to be entirely subjective, and 100% dependent on how it’s managed. Generating new traffic. Target based on demographics, interests, and a lot of other attributes to bring new visitors to your website. Retargeting. Create ads to bring back visitors to your website, typically at a much lower cost. Personalized ads. You've seen ads across the web for a specific product you look at - this is how they do it. The first, the biggest, and the most comprehensive advertising platform many people have worked with is Google Adwords. While it’s undoubtedly a great option, it can also be intimidating at first for someone inexperienced in creating and managing campaigns. When I say that, I mean that you can easily spend thousands of dollars very quickly if you’ve configured in the wrong way. These ads will primarily show in Google’s SERPs, but will also show across the web if websites are connected to Google’s ad network. Price: Depends on what keywords you target - CPC can go be less than ten dollars or more than a hundred if it is very competitive. AdWords has a keyword planner which lets you see keyword costs on your own. Facebook’s advertising platform is quickly becoming less of a new thing, and more of a required thing. With the ability to put videos, image carousels, and target users to an incredible degree natively, across the web, and on Instagram, this platform has a lot to offer. My personal experience is that Facebook guides you through the process better than AdWords does, but there is still a lot going on. These ads will show natively in Facebook and Instagram, and across the web if websites are connected to Facebook’s ad network. Price: Generally less than AdWords, but it depends on a lot of different factors. The goal of social media is pretty clear - generate some buzz around specific products, and get people over to the site. While they might not purchase on the first visit (I usually don’t) your site can stick in their memory, and they’ll become a customer when they are ready. Social can often be the first interaction that your audience has with you, so it’s important to make sure you’re timely, interactive, and human about it. Generating influence. Influencers are becoming more and more important in social media - tap into them (or customers) to have them grow your brand and following for you. Creating a buzz. For ads or promotions or new products, social can be a great way to build interest quickly. Building a brand. Social is where many B2C brands spend a lot of time, and while not every movement on social is seen by all, it builds the brand incrementally. A pioneer in the social media management space, Hootsuite has been around for a while and is generally one of the best and most comprehensive tools available. It’s got all the features and functions you’d expect, from scheduling and curation to monitoring and analytics. Meet Edgar allows you to create a library of posts, tag them, and then populate a calendar based on the types of messages you want to send out. While there are many free versions of email tools out in the wild, I wouldn’t recommend you use one for more than a few months when starting off. Here are a few of the best. Promoting sales and promotions. There's a reason email has extremely good ROI - and a lot has to do with who you send it to. It's typically customers, and other visitors that have opted in, making for high conversion rates. Being top of mind. While an email a day might be too much, regular emails are a great way to stay in touch and keep subscribers primed for new info. One of the mainstays of the email marketing world in general, Mailchimp has been around for a while and has always offered a free version. While it’s fairly limited, it’s a good place to start. Chances are that you’ll want to upgrade pretty quickly once the traffic starts coming and the subscribers start going up. 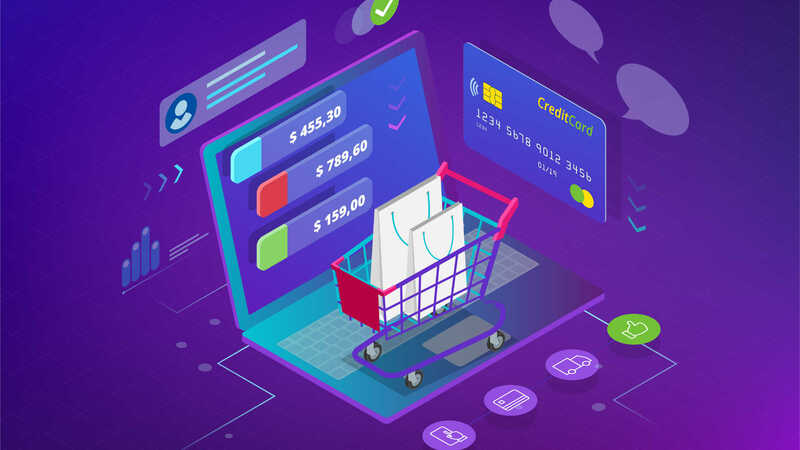 Their platform is a great fit for eCommerce, as it has grown to include additional features and functions such as forms, integrations, and marketing automation. Price: Mailchimp’s pricing scales with the number of subscribers (contacts) that you have. You’ll get unlimited sends and pay $75 a month with 10k subscribers. GetResponse does a bit more than just email marketing, it also contains webinars, landing page, and some deeper functions like CRM. It’s a pretty robust tool that (also) fully integrates with your eCommerce platform to help you connect with your customers and generate more revenue. Price: GetResponse’s comes in at $75/month for 10k subscribers. It’s common knowledge that live chat can lead to more sales, happier customers, and better communication. These tools all do it quite well, but have a few things that make them stand out. Connecting with visitors instantly. If they have questions, concerns, or can't find something, live chat is availably at that moment. Customer support. Not everyone wants to get on the phone, sometimes live chat can be more welcoming. Olark's tool has the essentials, with an easy to use interface and real-time reporting, it’s designed so that anyone in the company that needs to get in and use it can do so. You can manage teams and add PowerUps as needed to augment the functionality of the tool. Price: $17/agent/month, less if you purchase annually or biannually. Free trial as well. Drift is all about conversations. They have a DriftBot that can help a visitor have the right conversation with your team, and they’ve added more features that allow human to human conversations to happen outside of live chat: email, meetings, and more. Price: $50/month for 2 users. Free forever version as well. A robust live chat tool is backed up by the rest of Zendesk’s offerings: support, guide, and talk. It’ll be best when paired with these tools, but is still a formidable tool in its own right. Price: Starts at $14/agent/month, but has additional free, pro, and enterprise levels. Customer referrals are a great way to generate more interest in your products, get more out of your campaigns, and ultimately generate more sales and revenue. Customer marketing. Your best salespeople are your customers. Referral programs give them the tools to be even better. Review generation. As part of the referral process, reviews can be generated by customers. Referral Candy is pretty straightforward to use - you set up you rewards, your theme, plop it on your website, and watch it go to work. There’s more to it, but it’s straightforward and easy to use. Focusing on pop-ups in particular, WisePops is super easy to set up, and works just about everywhere. Also allows targeting by location, list membership, and a ton of other options. Their exit intent popups convert at about 7%, according to their website. Price: $49/month, additional features available in pro and expert levels. There are a ton of ways to grow your e-commerce revenue, and you can probably do it with far less effort than you’d expect. Most of these tools require a little setup, and then some occasional maintenance. Focus on the ones that will provide the most revenue or results, with the least effort on your part. If you sell more in the summer, now is the best time to test. If you sell more in the winter, now is the best time to learn the tools. And after you’ve grown your revenue, shipments, and are starting to wonder how you’re going to get all of your customers the products they’ve ordered, check out our open source order management system to make sure you’ve got a strong back end as well.